One of the oldest cruise ship companies in the world, Holland America now includes 14 medium-sized cruise ships that carry between 1,200 and 2,600 passengers. Cruises focus on the cultural experience, with an emphasis on culinary journeys. Holland America is dedicated to creating voyages for explorers, foodies, and music lovers. Itineraries range from Northern Europe onboard Rotterdam to exotic locales in the Far East, with ports of call in more than 100 countries. Book an adventurous Alaska cruise on Nieuw Amsterdam or Noordam for an unforgettable experience with unbeatable shore excursions and ports. Be sure to take a class at America’s Test Kitchen to learn how to create delicacies from the regions you’re visiting. With its origin dating back to 1893, Holland America Line has a long tradition of carrying passengers across the oceans of the world. Its current fleet of 14 medium-sized ships cruise in regions around the globe, from Alaska to the Mediterranean to Tahiti. Bought by Carnival Corp. in 1989, the cruise line is headquartered in Seattle, Washington. HAL ship designs are elegant and spacious, so passengers never feel crowded in their cabins or in public areas. All of the vessels have the signature black hull, a good way to spot Holland America ships in port. The designs are divided into six classes. The S Class, named for the Statendam (sold in 2014), includes the MS Maasdam and MS Veendam. These were the first cruise ships to incorporate grand entrances like the multi-deck atrium and two-story main dining room. They also had a Lido pool area with a retractable roof. These two vessels underwent significant upgrades in 2004 and 2006. Four ships belong to the Rotterdam or R Class, each one carrying around 1400 guests. The Rotterdam Class ships were all built and launched between 1997 and 2000. They are the Rotterdam, Volendam, Zaandam and the Amsterdam. There are also four ships in the Vista Class, one launched each year between 2002 and 2006. These are named for the four points of the compass: the Zuiderdam, Oosterdam, Westerdam and Noordam. The Vista Class ships are larger and faster than earlier vessels, carrying close to 2,000 passengers each. The Signature Class ships, the Eurodam and Nieuw Amsterdam, are an enhanced Vista Class design. The design added a deck between the Lido and Observation decks, making room for a specialty restaurant and some spa-class cabins. The largest ships of the fleet are the Koningsdam and the just-launched Nieuw Statendam. These ships weigh nearly 100,000 lbs. gross tonnage and carry 2,650 passengers within 12 passenger decks. 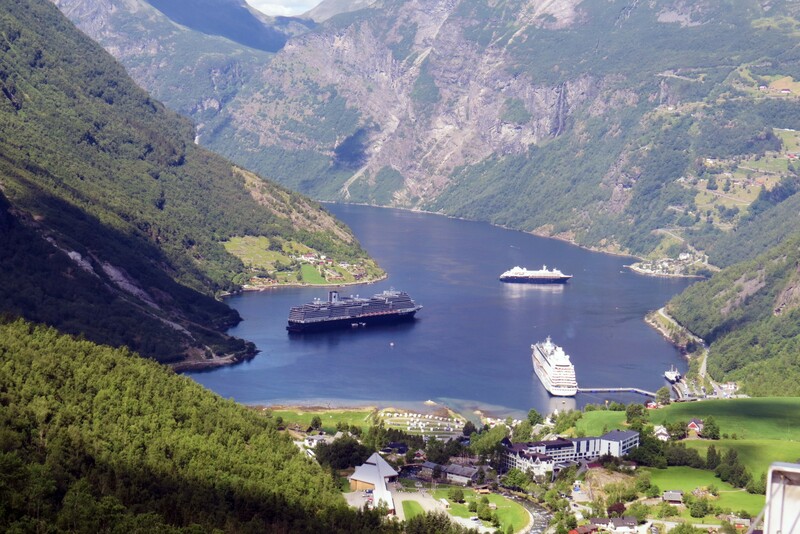 Holland America ships sail all over the world, from Alaska to the Caribbean, the Far East and the South Pacific. Each cruise is an immersive experience, with fascinating cultural seminars, cooking classes for local cuisine, and shore excursions designed to educate as well as entertain. Find a Holland America cruise and expand your world view.